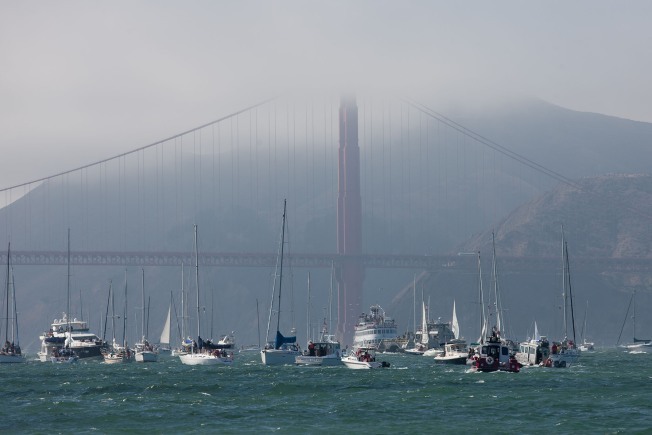 Racing starts today for several international youth sailing teams in San Francisco this week to vie for a spot in the Red Bull Youth America's Cup later this year. Six teams from around the world are racing today through Friday to try to make it to the September event, which will serve as a precursor to the America's Cup Finals later that month. The teams, from countries including Australia, New Zealand, South Africa and Germany, were introduced alongside some of the sport's top sailors at a news conference at Pier 80 in San Francisco this morning. Ben Ainslie, who won a gold medal in the recent Olympic Games in London, said America's Cup used to be "an older guy's sport" but has transformed in recent years to be more accessible to youth. Jimmy Spithill, skipper of Oracle Team USA, the defending America's Cup champion, said the new high-tech boats being used in the races the past few years require younger and stronger sailors. 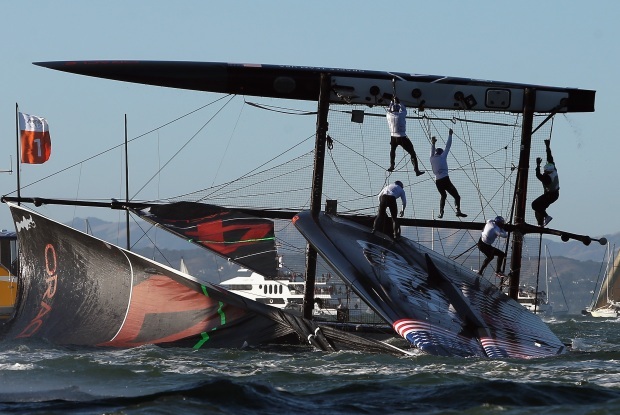 "It's so physical now, it really is a young man's game," Spithill said. The teams of men ages 19 to 24 will race today through Friday, while six more will battle next week for the chance to join the youth race, which runs from Sept. 1-4 and already includes American Youth Sailing Force, the team associated with Oracle Team USA. Ian Andrewes, skipper of the San Francisco-based U.S. team, said they have some Bay Area locals, which should provide a home-field advantage over the international teams. Andrewes said the team's ties to Oracle Team USA also give them a leg up on the competition. "We sort of consider ourselves the little brother team to Oracle," he said. "The knowledge we learn from them is great." Andrewes said he has been paying attention to the recent fundraising issues that have come to light for the sailing races. 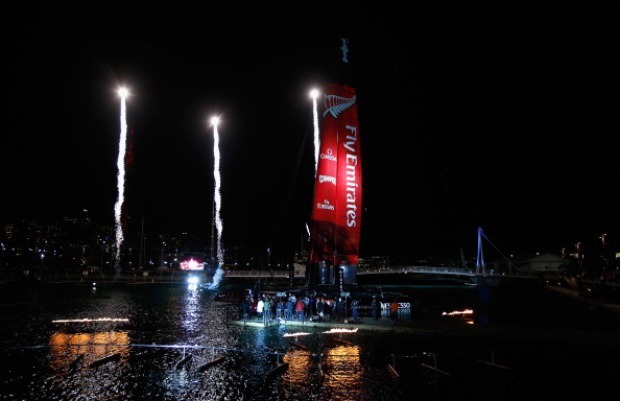 When Oracle CEO Larry Ellison agreed to bring the race to San Francisco after his team won the previous race in 2010, the America's Cup Organizing Committee pledged to raise more than $30 million in private donations to recoup the city's costs for the event. However, fundraising efforts have stalled and the city could be on the hook for upwards of $20 million, Mayor Ed Lee said this week. Lee said the city is offering naming rights along the waterfront among other ways to raise more money. Andrewes said the lack of funds could affect how many people are able to view the youth race. He said their race will also be affected by the closure of the Bay Bridge, planned for Labor Day weekend, as the new eastern span of the bridge prepares to open. "We want people to come out and see it," he said. "We consider ourselves the home team and want people to support it." Today's event also included an up-close look at the Oracle Team USA 72-foot catamaran that was repaired after being badly damaged when it capsized during a training run last year. That boat will be used during the three-team America's Cup Finals, scheduled from Sept. 7-21.